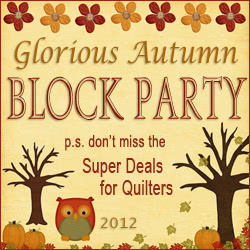 Come join the “Block Party!” Head on over to the Quilting Gallery site for 3 block patterns per week and super deals for quilters. Aside from block designs, there will be a give-away at each of the 3 designers’ posts each week. So, check it out and click on the image above!